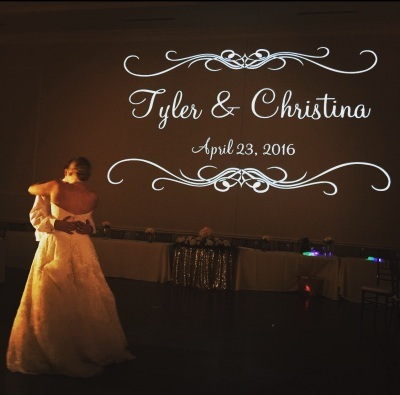 Add elegant and eye pleasing uplighting to your room, tent or event center. Washing the wall with brilliant color, columns or spotted onto specific areas will bring a beautiful and stimulating feel to your event. 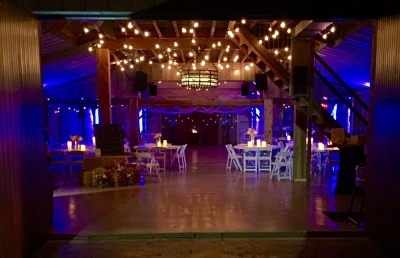 Pin spot lighting is a simple way to highlight some of the special areas at your event. 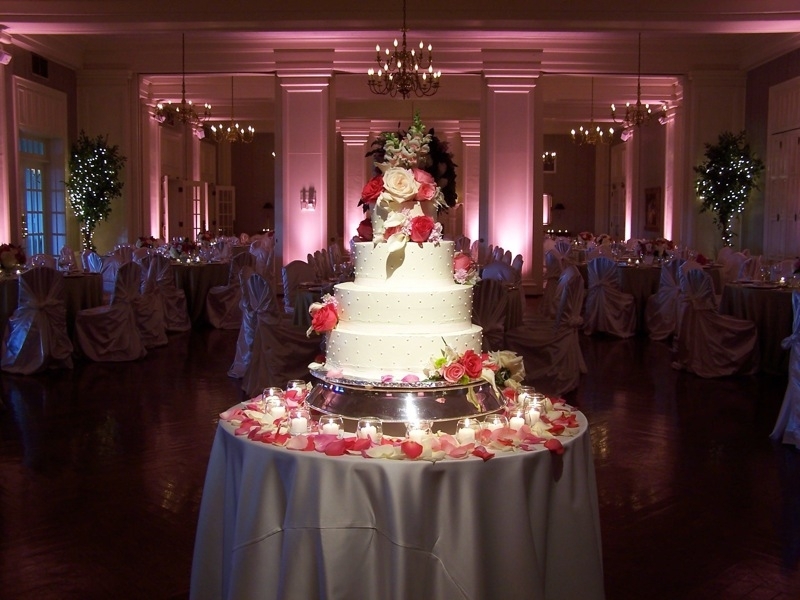 For example, pictures, a wedding cake or dessert tables, special dances, speaking areas, and more. Do you want to get your guests moving the dance floor? 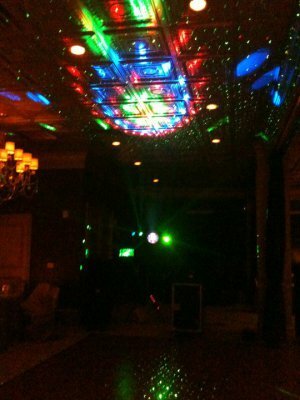 Then add Dance Floor Lighting to give action to party. Create your own customized wedding monogram by choosing which digital style you would like to use. You will have hundreds of choices as well as customized and animated monograms available. If you’d like more information about our services and additional amenities, please button below or give me a call.